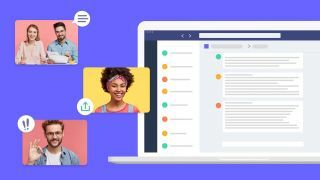 The What: Lifesize has added native integration with Microsoft Teams, designed to allow companies to add 4K videoconferencing capabilities to their existing Teams chats and workflows. The What Else: By adding Lifesize to Microsoft Teams, users get the same workflow they’re familiar with for scheduling and joining meetings from the Microsoft Teams app; join Lifesize meetings with a single click from the meetings tab in the Microsoft Teams app; use chat commands to instantly create and join Lifesize meetings from the chat interface in Microsoft Teams; and enable Lifesize for Microsoft Teams in specific channels or all of their Microsoft Teams channels. Meetings created via Lifesize make it easier for customers and partners to join meetings, and increase the adoption rate and improve user experience in the Microsoft environment with best-in-class video and audio call quality and interoperability. The familiar workflow makes it easy to create, schedule and join calls. Even if people outside the organization don’t use Microsoft Teams, they can connect to Lifesize meetings using their web browsers or any videoconferencing system. The Lifesize integration boosts adoption of Microsoft Teams and empowers employees to be more effective and engaging by combining industry-leading videoconferencing from Lifesize with the best elements of Microsoft Teams. Lifesize integration with Microsoft Teams can allow for a smoother implementation for IT as well. Administrators can enable access to the Lifesize integration for their entire organization or install in specific teams. Once the administrator adds Lifesize to their Microsoft tenant catalog, anyone from their organization can add the Lifesize app to their team’s channel with just a few clicks. Search for Lifesize in the app store, select the team you want Lifesize added to, click “install,” and then “set up” the Lifesize bot. The Bottom Line: One of the major benefits for companies that standardize on Microsoft applications for everything from email exchanging to word processing is the streamlined workflow and interoperability of programs. The Lifesize integration with Microsoft Teams adds high-quality videoconferencing inside and outside an organization from within the Teams application.